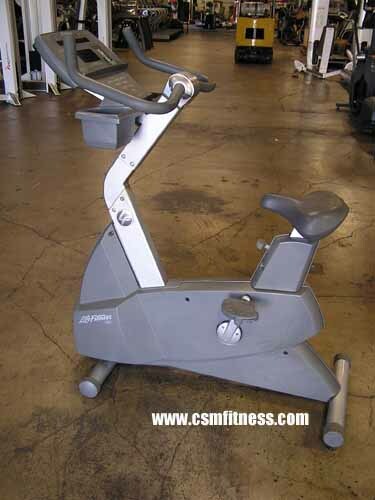 The 93C Life Cycle is ideal for in-home and gym use. This upright bike can be moved, stored, and assembled quite easily; with the convenience of no cords, this self-generated machine is likely to result in a great experience for both in-home and gym users. Features that make this machine so popular include its ease of use, which was described earlier, the reliability and durability of its belt-drive system (without this reliability and durability the belt system can become a maintenance problem), the Comfort Curve ergonomic seat and its 27 adjustment levels, the Wide Range pedal with 11 adjustments, ergonomically correct handlebars, LCD entertainment system option, reading rack and accessory tray, heart rate monitory, and many others. Preset Programs Include: Goal-based workouts, Fitness Test protocols, the machine prompting Aerobics Trainer program, and many more.